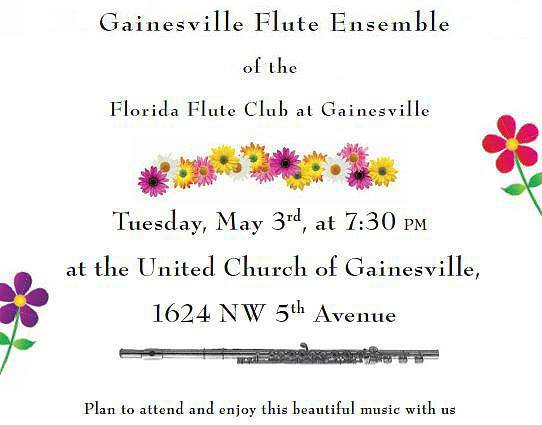 The Gainesville Flute Ensemble will have its final performance for the year next Tuesday, May 3rd, at 7:30 PM at United Church of Gainesville. 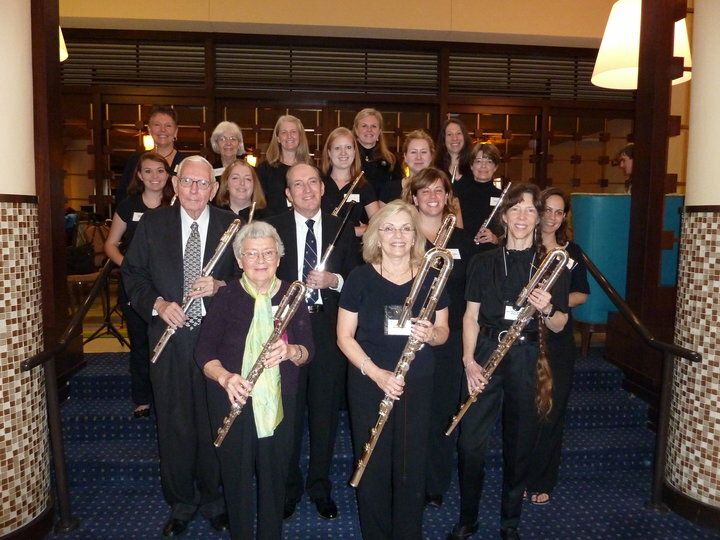 The GFE practices every Tuesday at our church during the fall and winter. Plan to attend and enjoy beautiful music.